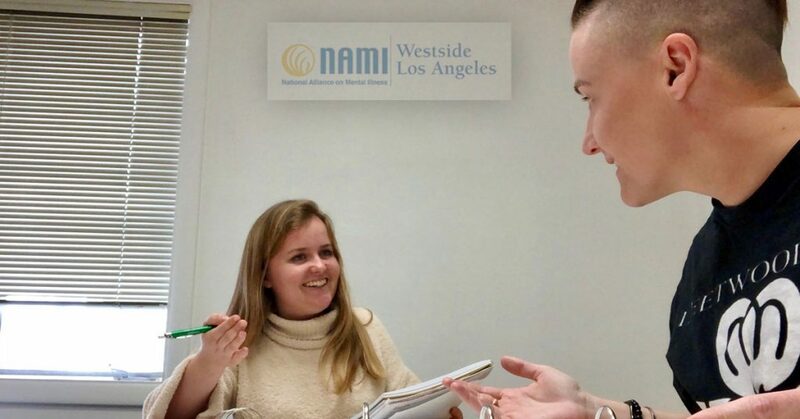 NAMI Westside Los Angeles offers free classes throughout the year for those living with mental illness, as well as for their family members and loved ones. Family-To-Family Class: Free class for family members of those living with mental illness. 12-week, 30-hour program designed for families and taught by NAMI-trained family members who have been there. De Familia a Familia Clase: es un programa de educación para familiares y amigos de personas que tienen enfermedades mentales severas. Peer-to-Peer Class: Free class with those living with mental health conditions. 16-hour, 8-week class for those living with mental illness, taught by a team of trained mentors who have personal experience living well with a brain disorder. NAMI Basics Class: Free 15-hour class for parents and caregivers of children living with mental illness. Click the class links above to find out more and sign up to pre-register for future classes, or call our office with questions (310-889-7200).